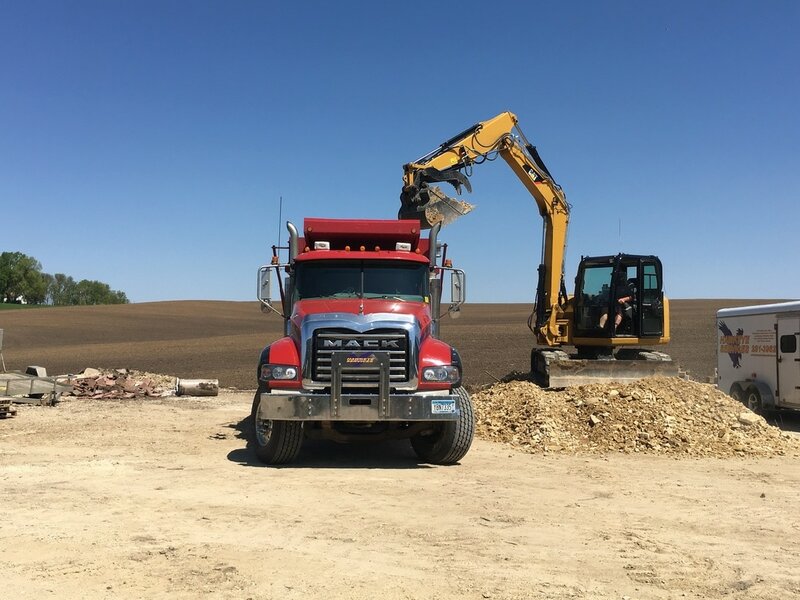 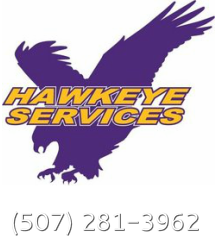 At Hawkeye Services, we provide a broad range of heavy equipment services for residential or commercial properties. 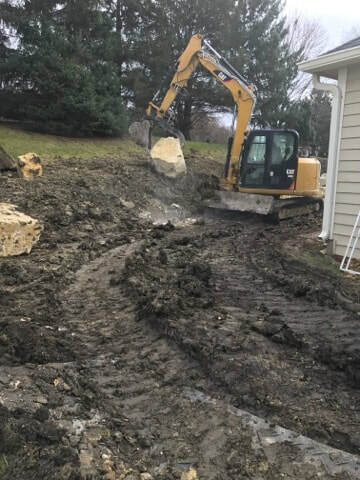 We offer these services direct to the individual customer or we can contract with construction companies or developers to supplement their project requirements. 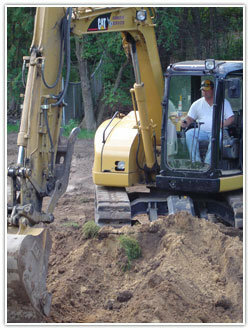 Are you having drainage problems? 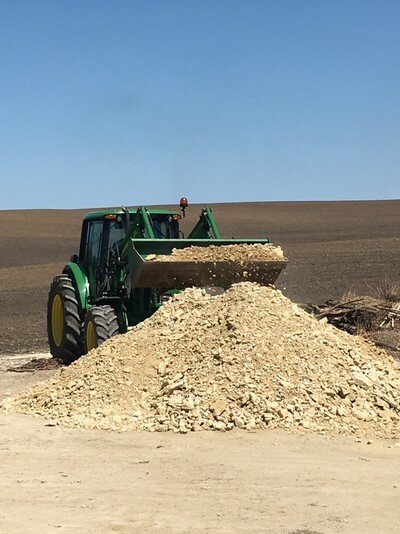 Call us for grading for water runoff and drain tile installation. Need demolition of garage or barn, we provide that service. 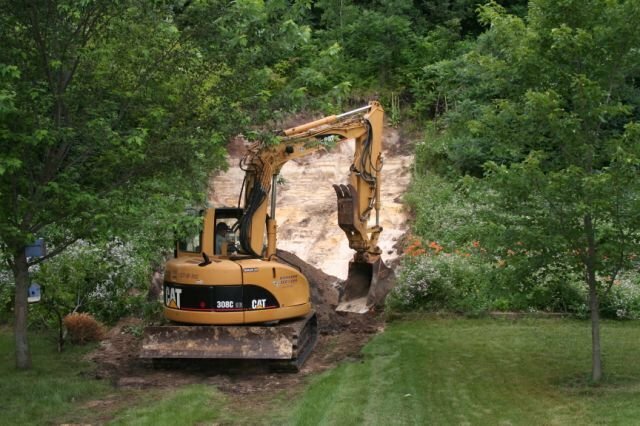 We do lot clearing, tree removal, stump removal/grinding, and brush hauling. Our bobcat with grapple and backhoe can dispose of brush, buckthorn, and unwanted trees. 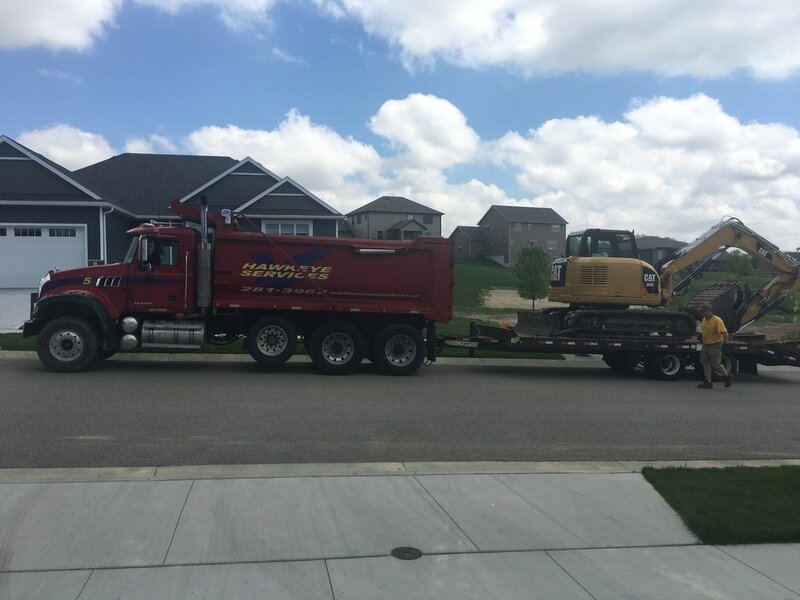 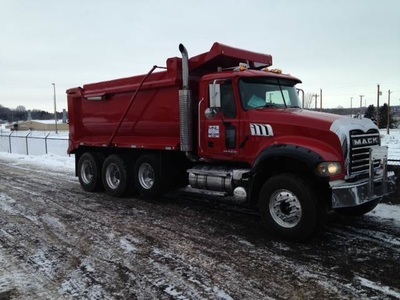 With our large dump truck we can haul rock, mulch, fill, black dirt, old concrete, sand, and snow. 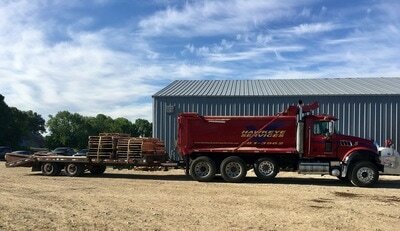 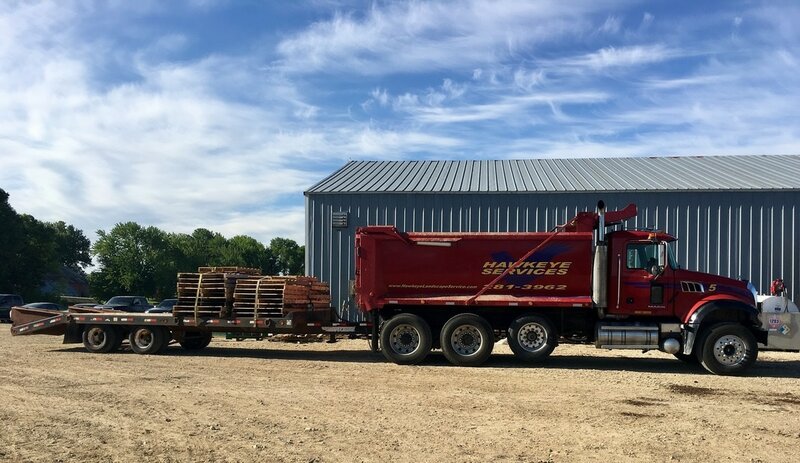 For smaller jobs, we have dump trailers for hauling. 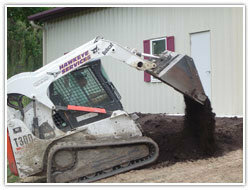 We can do rough or finish grading with our large bobcat and soil conditioner. 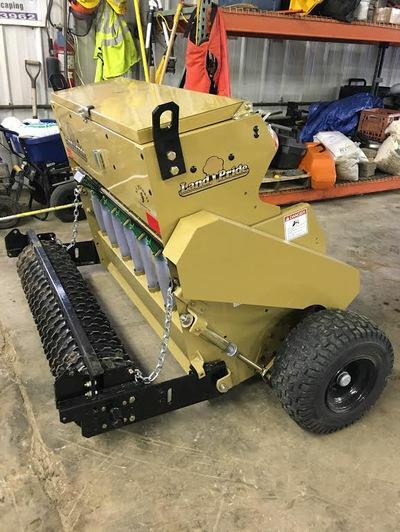 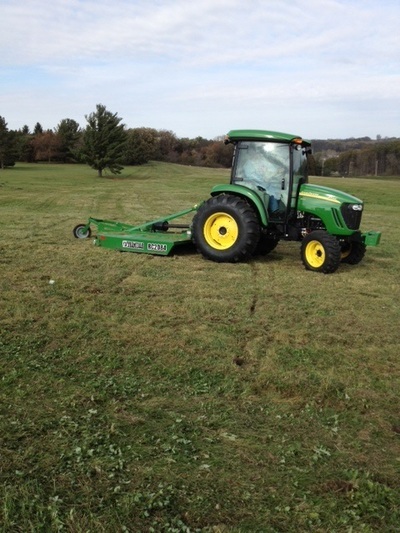 Our new slit-seeder performs all your lawn needs from replacing sod, existing turf, and creating food plots.